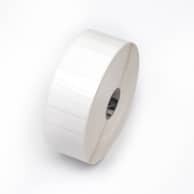 * A white thermal transfer polypropylene label with a high performance permanent acrylic based adhesive. * The adhesive offers resistance to temperatures as low as -196C. * Designed specifically for cryogenic applications in medical laboratories and hospitals.